the adoption of the St George flag only occurred early on in the 20th Century and appears to have been adopted as a mistake. Whilst today’s flag can be said to have been preceded by the cross of St. George (the flag of England), it appears that this is not as straight forward as it might seem. Indeed the adoption of the St George flag only occurred early on in the 20th Century and appears to have been adopted as a mistake. In 1905 it would appear that there was no “official” island flag because in that year the then Medical Officer of Guernsey wrote to the home office asking what was the correct flag to fly ashore. They duly replied that “no particular flag was defined by warrant” and that the matter was left to custom and good taste, adding that “the Union Flag, or Union Jack, had been used indiscriminately for a very long period throughout Great Britain”. In the following year, possibly prompted by the Home Office’s previous reply, Guernsey applied to the Home Office to use certain arms and also crucially the flag of St George. The Home Office were interested only in the arms and not in the flag. The arms were submitted to the King for his approval and the Lt-Governor of Guernsey was then told that, “the King had been pleased to approve his proposals.” The Governor interpreted this as meaning that the flag of St George had also been authorised. This was an embarrassing mistake and the Home Office “admitted the blunder and hoped to be excused from glossing it officially.” But it seems the damage had been done and the cross of St George was duly adopted as the “official flag”. This is a somewhat unusual flag and may come as a surprise to many Guernsey residents but back in 1863 this rather unusual blue and white chequered flag featuring the cross of St George and the Union flag was in use. It appears that this flag was used in the 19th century for the Unveiling the Albert Statue on 8th October 1836. The flag appeared on a contemporary engraving entitled ‘Unveiling the Albert Statue at Guernsey 8 October 1836’ from Barbet’s Almanack 1864. 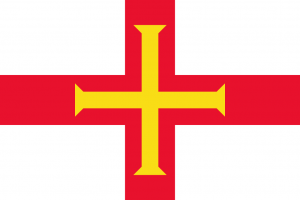 You can still see some islanders flying this ‘unofficial’ flag even today – the Guernsey Green & White Tricolour. This flag was mainly seen in Guernsey between 1890 and 1940 and largely seems to have been adopted for use with Guernsey sporting events. 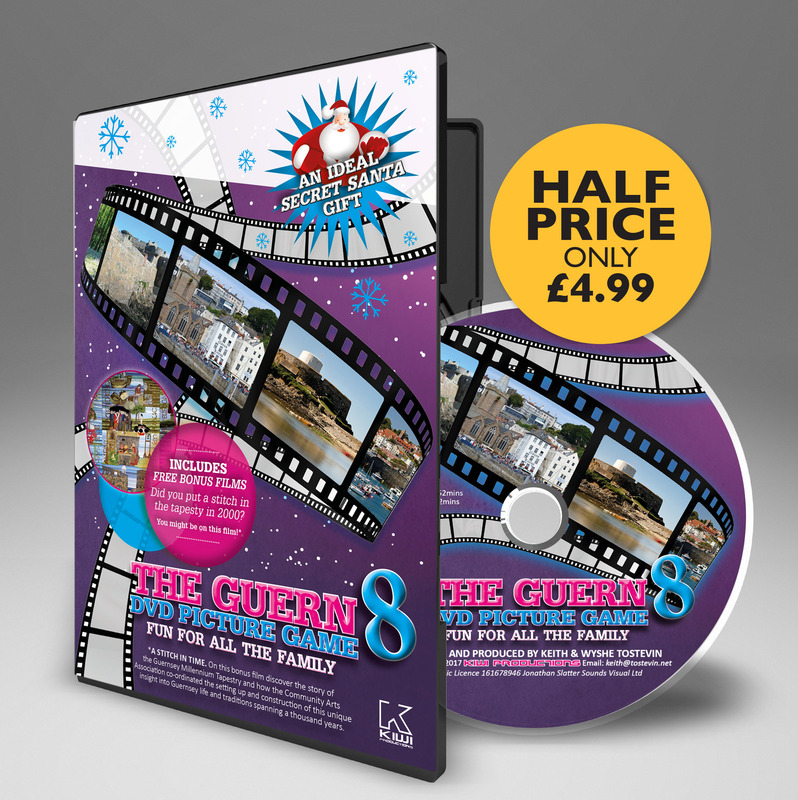 It represents the Guernsey colour which has always been green, and has the shield of Guernsey’s independence central.